The heart-warming tale of a young boy’s adventure with his magical snowman friend has returned to The Peacock stage to delight audiences for the 20th consecutive year this festive season. To celebrate this special anniversary, we’re sharing 20 facts about this enchanting story and its stage and TV adaptations. How many did you know? The Snowman opened at The Peacock theatre in 1997, meaning it is the longest running Christmas theatre show ever made! The original Snowman story, written by Raymond Briggs and published in 1978, doesn’t mention Christmas at all. The scene where the young boy and the snowman visit Father Christmas was added to the television adaption, but never appeared in the original book. There are a number of different introductions to the television adaption. One of these features legendary British popstar David Bowie starring as the young boy many years later, wearing the scarf given to him by his snowman friend. 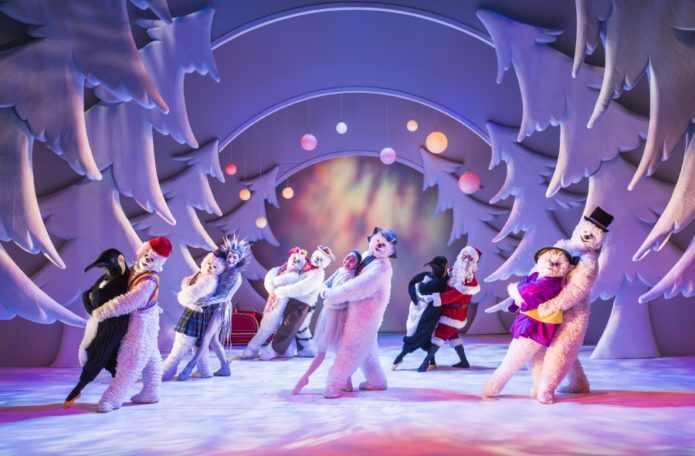 There are 60 costumes in The Snowman stage production, all of which are handmade by the costume department at the Birmingham Repertory Theatre. 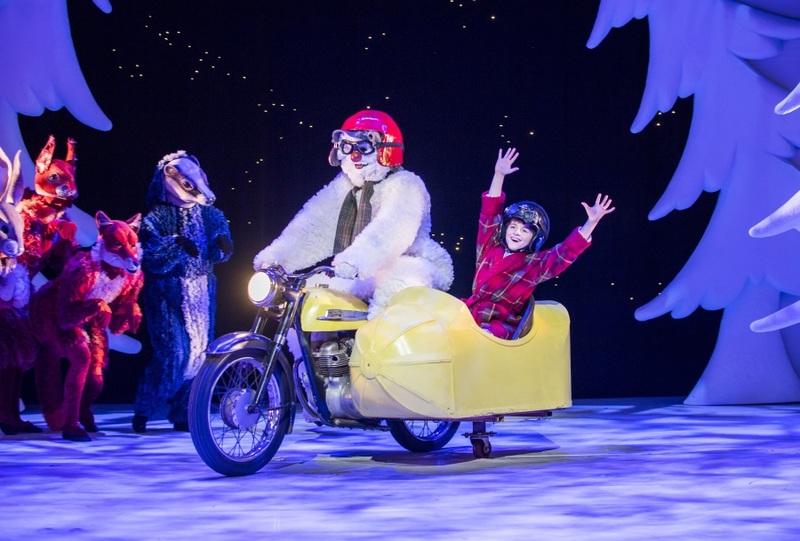 The show employs 265 individual props, ranging from lumps of coal for the snowmen’s noses to toy soldiers, a sleigh and even a motorcycle with a sidecar! Far from the snowy surroundings the story is set in, Howard Blake, the composer of the iconic song Walking In The Air, said that the idea for the song actually came to him whilst he was walking along a beach in Cornwall. Staying with the beach theme, The Snowman is said to be set in Sussex, near Brighton. We know this because, in the television adaption, the snowman and the young boy fly over Brighton pier and Brighton Pavillion. 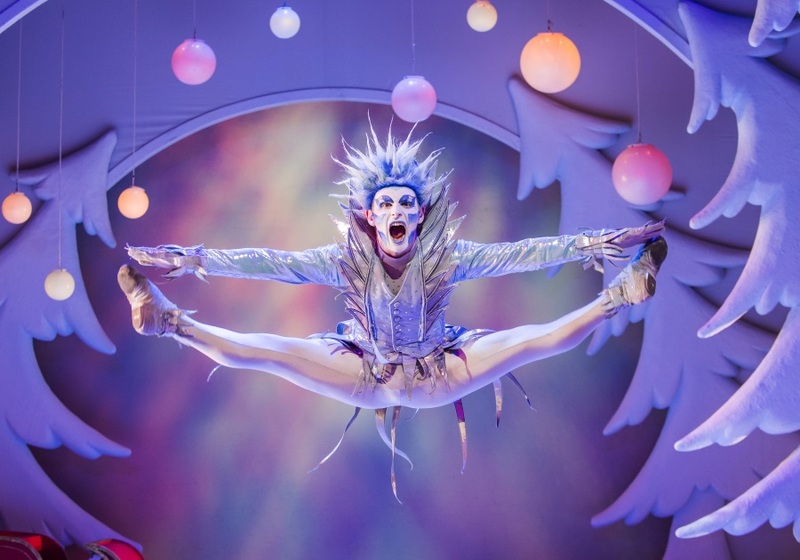 Director of the stage production Bill Alexander said in a Guardian interview that he originally had dancer Carlos Acosta in mind for the role of Jack Frost! Since its release in 1982, the television adaption of The Snowman has been shown every single year at Christmas time. The Snowman cast can perform up to three shows per day. Because of the working restrictions, particularly for younger actors, three boys play the part of the Boy, and two men play the part of the Snowman. There are 42 people working on each performance of The Snowman, including 17 dancers, five musicians and 20 stage crew. Similarly to the book and the television adaption, The Snowman stage production has no words and the story is told through mime, images and movement. 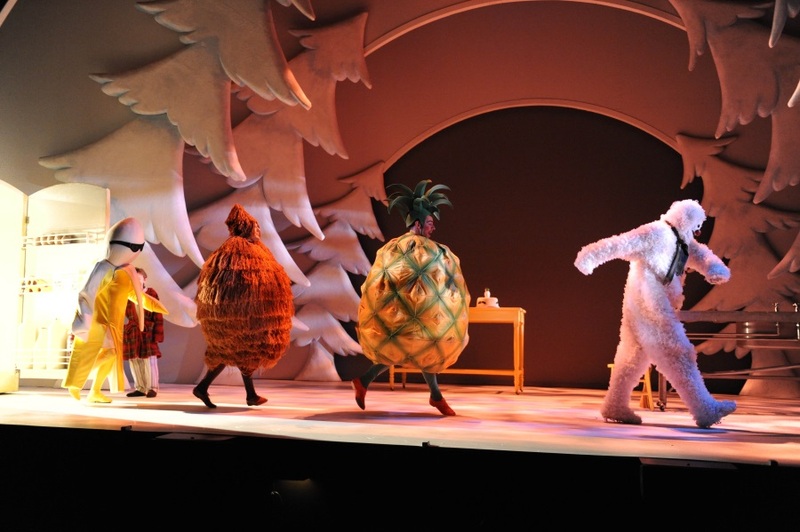 The pineapple and coconut costumes used in the stage version are very difficult to get into and the performers need to make very fast costume changes. To solve the problem, the crew decided to rig a pulley system last year for the costumes to be lowered from above onto the dancers just before they go on stage. Many people believe that it was Aled Jones who originally sang Walking In The Air, as he had a top 10 hit with the song in 1985, but the original was actually performed by Peter Auty, a choirboy at St Paul’s Cathedral. There were originally two different versions of The Snowman stage production. Director Bill Alexander worked with composer Howard Blake on a version at the Birmingham Repertory Theatre, but there was also a ballet version, created by Robert North for his ballet company in Gothenburg, Sweden in 1993. The version we see today incorporates elements of both productions. Each of the 11 snowman costumes took one week to make. The costumes are created from more than 11 miles of white net! While watching the television of The Snowman on Christmas Day, the crew working on the stage show have been known to stand up automatically at certain points to do something onstage, forgetting they are at home! To mark the 30th anniversary of the original film’s release, a sequel to the original film was released in 2012, called The Snowman and The Snowdog. Last year, the two snowmen made a music video of themselves miming to the classic Christmas song Stay Another Day by East 17. You can watch it here! The Snowman runs at The Peacock theatre 23 November – 31 December. You can book tickets here.